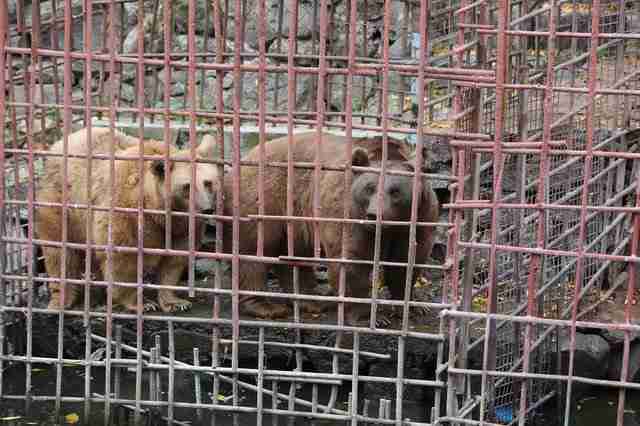 For 10 years, the only home Dasha the brown bear knew was a cramped metal cage outside a restaurant in Yerevan, Armenia. She and her mate, Misha, had nothing to do each day but climb the cage bars and beg diners for food scraps. The rest of their time was spent aimlessly pacing around the enclosure to cope with their stress. 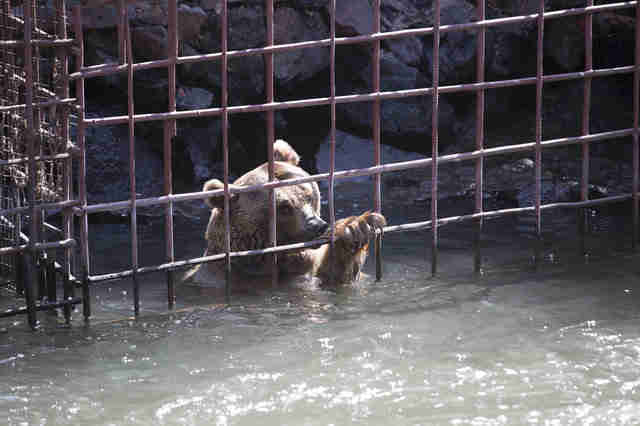 To make matters worse, the river by their cage often flooded — leaving the two bears trapped in water up to their shoulders with nowhere else to go. 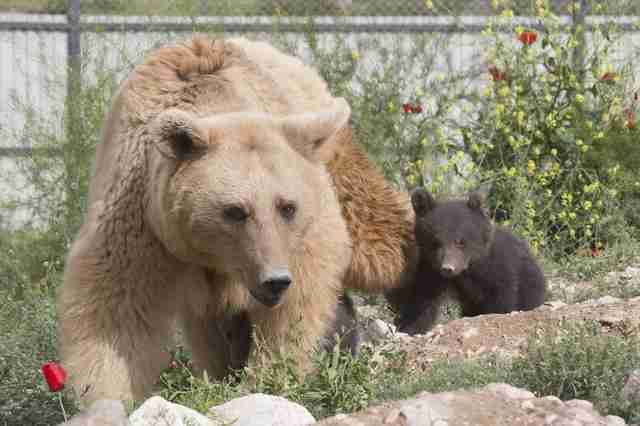 Luckily, last November, International Animal Rescue (IAR) and the Foundation for the Preservation of Wildlife and Cultural Assets (FPWC) convinced the restaurant owners to surrender the bears, and they were moved to a mountainside sanctuary soon after. But for Dasha, the good fortune hasn’t stopped there. 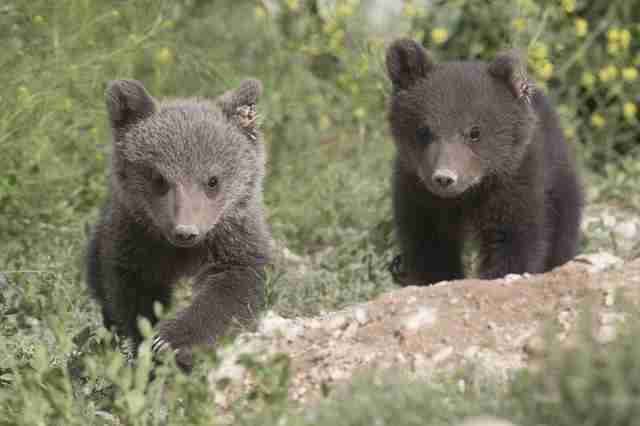 A few weeks ago, she emerged from her den after a long winter of hibernating with a spectacular surprise: She had given birth to two healthy cubs. At her time of rescue, Dasha’s caretakers had no idea that she was pregnant. But now she’ll be able to raise her babies in a natural forest environment with so much room to explore — and learn alongside them what being a bear is all about. Since the sanctuary workers only have contact with the bears when medically necessary, they don’t know the cubs’ genders just yet. But at 2 months old, they’re already looking happy and healthy alongside their mom, Mkrtchyan said. Although hibernation is over, Dasha still spends a lot of time in the den with her little family. She’s also regularly spotted foraging in her forest home — but never strays too far from the cubs. The cubs will stay with Dasha until at least next spring, and then they’ll be assessed for potential release back to the wild as long as they are foraging for their own food at that point. “Next spring could be the ideal time for them to start their new life,” Mkrtchyan said. 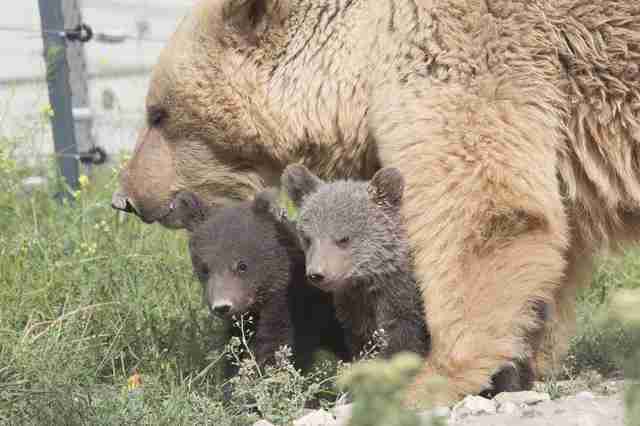 Until then, Dasha will continue to raise her babies in peace — an even more rewarding sight for the rescue team since they know all the misery she endured before the little cubs came into her life. 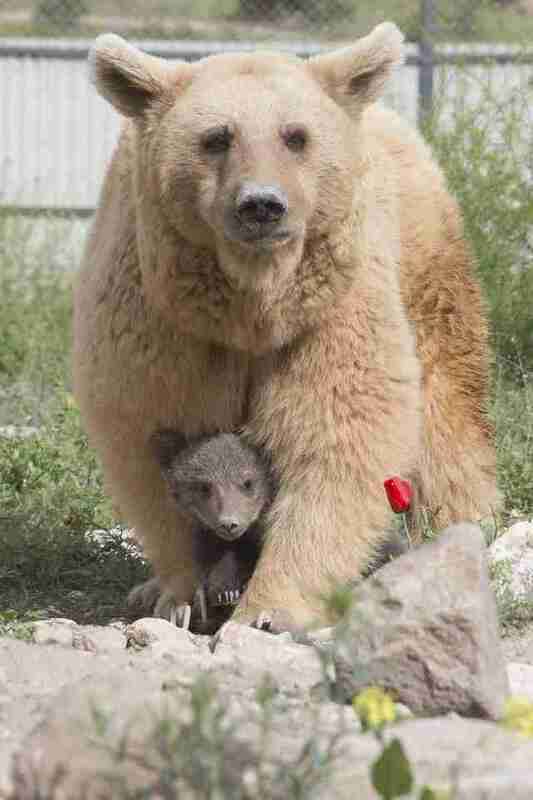 To support the continued care of Dasha and her cubs, you can make a donation to International Animal Rescue and the Foundation for the Preservation of Wildlife and Cultural Assets.